It’s 2017, Tim Kinsella and the rest of the band are cresting 40 years old and Cap’n Jazz are still playing like teenagers overstuffed with hormones and energy. 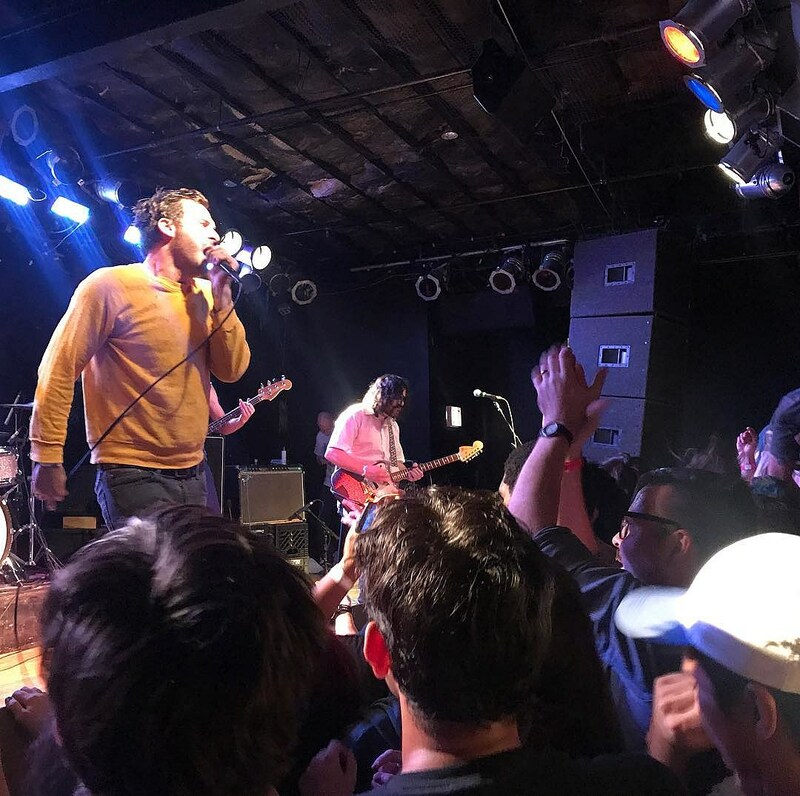 Like the band’s recent Chicago House of Vans show, Friday night’s Riot Fest Aftershow at the more compact Bottom Lounge was a stellar set filled with Tim diving into the crowd and what seemed like every crowd member screaming back every word. Chicago’s own Rapperchicks opened the set in what was one of the more confusing lineup pairings I’ve seen in a while, but they still put on a great set even if most of the crowd seemed utterly disinterested. I wasn’t familiar with them prior to the show but their beats, clever flows and party vibes did a great job to instantly win me and a good handful of the less-jaded members of the crowd. It was clear both MCs were really pumped to be opening for Cap’n Jazz, with Angelenah quickly shoving her way up to the front for the headliner’s set and snapping a ton of pics. This Cap’n Jazz reunion is really something to behold, as they proved at House of Vans and FYF Fest over the summer. The aftershow was absolutely no exception, with Tim busting out the weirdo frontman antics (running the mic stand through his belt loop and under his sweater, tossing out his tambourine and immediately forgetting that he nedded it for later in that same song), Mike drumming as wildly as ever and both guitarists bouncing around stage all night. Highlights include the shoutalong “Yes, I Am Talking To You”, the crowd-electrifying “Oh Messy Life” and the band’s always raucous cover of “Take On Me”. Cap’n Jazz did it again at Riot Fest proper the next day and our review of that set is HERE. Check out the band’s remaining shows below and be sure to follow our continuing coverage of Riot Fest.